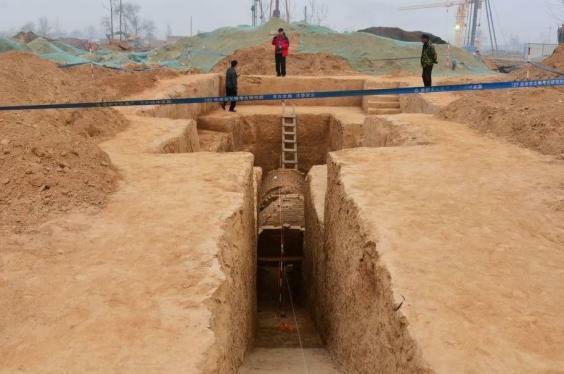 ZHENGZHOU, HENAN PROVINCE, CHINA – Archaeologists working just west of the Yellow River discovered a mysterious find: a tomb that experts are calling the ‘pyramid of Zhengzhou’. The find was a complete accident. The area where the tomb rests was originally a village, but construction had moved in to build a new residential compound when they stumbled across a large burial chamber. 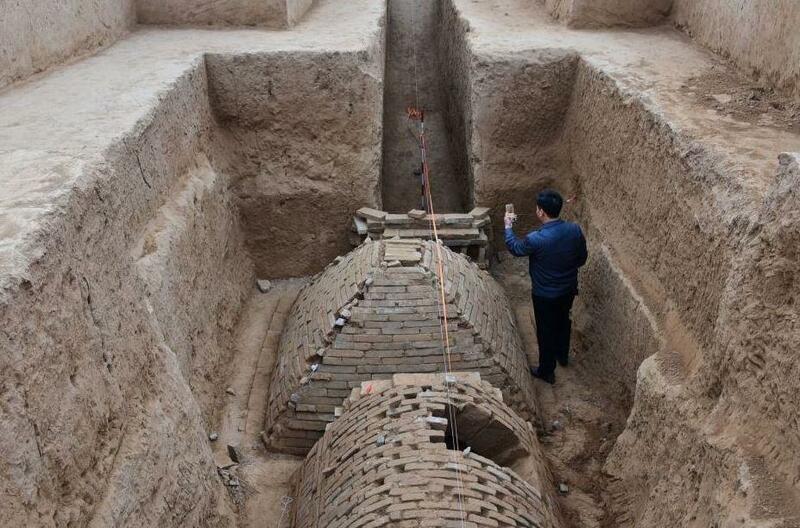 Archaeologists from the Chinese Cultural Relics Bureau were called in to do some digging. Inside the chamber, they found a surprise: two tombs that are at least two-thousand years old. One is a half-cylinder shape. The tomb next to it has caught the public’s eye. It’s strangely reminiscent of the ancient pyramids that dot Egypt’s landscape. It’s likely the shape had some sort of religious significance. What that was, exactly, archaeologists aren’t sure, even though the shape does pop up quite often in tomb excavations in the area. “I’ve never seen anything like this,” a local in the area said. He also described the discovery as “truly magical”. The chamber measures almost a hundred feet long by twenty-six feet wide. It’s built on a west-east axis, with the entrance facing the east and the rising sun. One narrow aisle leads to a main dome that sits next to the pyramid tomb. Both structures were built out of crumbling mud brick. Experts believe that the site dates all the way back to the Han Dynasty. In 202 BC, Ancient China, under the ruling Han family, entered what is known as its golden age. After years under the oppressive Qin regime, where books were burned and authoritarian laws reigned supreme, the progressive Han Dynasty took power. The Han Dynasty established Chinese culture as we know it today. 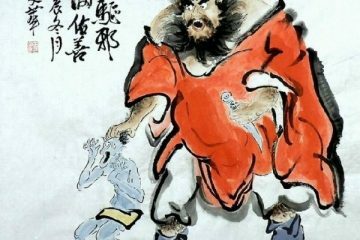 The dynasty had a salaried bureaucracy, followed the ideologies of the famous philosopher Confucius, and encouraged the arts. Over time, Buddhism moved in from India and was assimilated into the culture. The Han Dynasty lasted the longest out of any other Chinese Empire, ruling from 202 BC to 220 AD. Most of the architecture and artifacts we have left from this period in Chinese history consist of tombs and grave-goods, much like the one unearthed at this site. If this tomb truly does date to that era like the experts working on it believe, then it’s a very valuable find indeed. So far, not much is known about who or what is buried inside. Archaeologists from the Chinese Cultural Relics Bureau are currently working on excavating the chamber. Excavations have been going on for nearly a month. Soon, they’ll be ready to crack it open, and perhaps the secrets of the pyramid of Zhengzhou will be revealed.